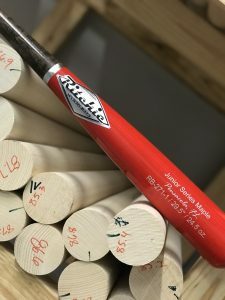 Our Junior Series bats are perfect for those hitters transitioning from youth to adult barreled bats. They feature the full size barrel but with lighter weights. These bats are available in 28″ – 34″, including all half sizes, with weight options of -4 through -7. You can order these bats in any of our 7 models, 3 knob flare options and they are available in maple. These bats also include FREE custom engraving! 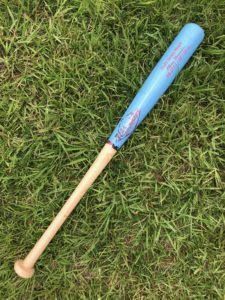 Looking for a -10 wood bat? Here it is! 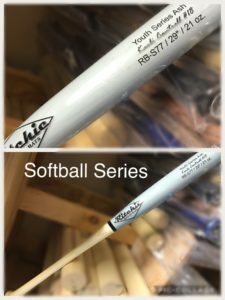 The Youth Ritchie Bats are available in drop -7, -8, -9 or -10 and come in two different models – the RB-271 and the RB-224, both of which are very comfortable and help a young hitter get used to hitting with wood.You can learn more about these models on the model information page. All three knob variations are available with these bats as well. These bats have a maximum barrel diameter of 2.25″. Our Fast Pitch Softball Series bats are perfect training tools for young softball players. These bats are available in 28″ – 34″, including all half sizes, with weight options of -4 through -6. You can order these bats in any of our 3 knob flare options and they are available in maple.